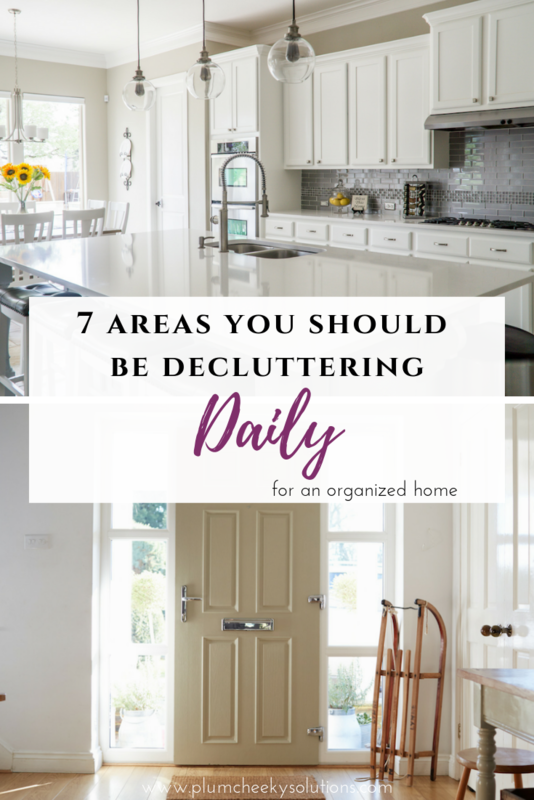 To conquer clutter, there are 7 areas in your home that you should be decluttering on a daily basis and 7 areas that you should be decluttering on a weekly basis. Decluttering is a popular topic lately. And, I believe it’s here to stay because it’s essential to keeping an organized, uncluttered home and people are enjoying the benefits when they put in the effort to keep their homes organized. However, despite out best intentions to keep our homes decluttered, certain areas still become drop zones and breeding grounds for clutter. By tackling these 7 areas on a daily basis, it is possible to keep these areas mostly clutter free. While the idea of adding one more “to-do” to your list may sound daunting, maintaining these areas daily won’t take a lot of time, once you implement decluttering on a regular basis. It will be less stressful and less time consuming than if you have to do a complete overhaul in these areas only once a year. Do you need a decluttering kick-start before you make it a daily habit? Grab your copy of the Declutter Checklistto get you started. The bathroom is a busy place and an area that ends up with cluttered surfaces; mainly the counter. 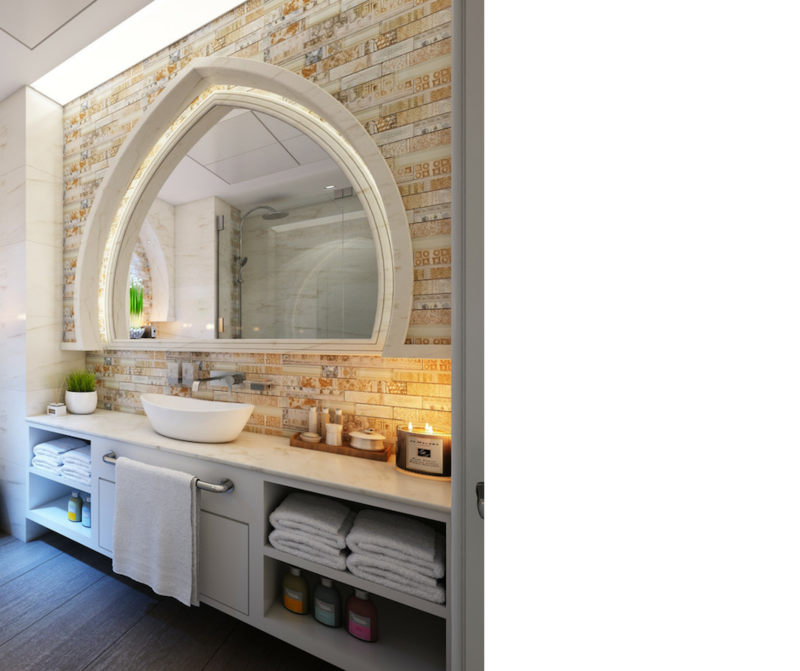 Keep your bathroom decluttered by taking a few minutes each day to straighten things up, clearing your countertops and putting items away where they belong. The kitchen tends to be the hub of the home, which means it makes sense to leave everything in the kitchen...because you always end up back there. The problem with that is, it ends up being a drop zone for pretty much anything; toys, school work, bills, small appliances, dishes, etc. The purpose is to create a tidy kitchen and to clear the flat surfaces of clutter. Start by removing items that don’t belong in the kitchen at all and put these where they belong. Next, throw away garbage and recycle. Last, but not least, put away anything that belongs in the kitchen, just not on the countertop. The best way to keep the kitchen counters clear, is to declutter them on a daily basis. That way it doesn’t accumulate into an overwhelming task. Having a sink full of dirty dishes can make an otherwise tidy kitchen look cluttered. It’s stressful and hard to relax when our home is untidy and cluttered looking. Stay on top of the dish clutter by washing dishes after each meal and at the end of the day; putting all dishes away at least once a day. This is my least favourite area to declutter and yet it’s the type of clutter that is constantly receiving new items every day; such as school papers, receipts, newspaper, mail, kids’ artwork, etc. To save yourself from complete paper takeover; sort, declutter and organize the incoming paper a little each day…preferably as soon as it comes through the door. Having a family command centre is great for short term paper storage such as school papers, receipts for returns and bills to pay. Things that can be recycled can go directly into the recycle bin. When the mail comes into our home, I go through everything right away. I open all the bills and place them in my “to pay” file. I throw the flyers, newspaper and opened envelopes (from the bills) into the recycling. Anything that requires further attention or response goes into the “to do later” file (basket). This “to do later” file gets tackled once a week. Dealing with paper clutter on a daily and weekly basis will keep the piles of papers from taking over the flat surfaces in your home. Having an organized purse is great for being able to find what you need. To maintain a decluttered and organized purse, you must keep random pieces of junk from accumulating. Take time each day (at least the days you go out) and go through your bag; pull out anything that doesn’t belong and throw away any trash. If you do this anytime you go out, you will maintain a clutter free purse. Our wallets can get stuffed full of receipts, tickets, business cards and scraps of paper pretty quickly. Remove these anytime you’ve been out. Put cards back in their slots and determine either to use up the bulk of your change the next time you go out, or place it in a savings jar. Oh, the entryway! So much opportunity for clutter. If your family is anything like mine, as soon as they get in the door they drop everything; footwear, jackets, bags, water bottles, toys, books, paper and whatever other random things they brought with them on our outing. This is a high traffic area and can look cluttered fast. Keep things under control in this area by having designated spots for everything, such as shoes, jackets, keys, sunglasses, purses/bags, etc. Make it a rule that as soon as you come through the door each person hangs up their jacket, tucks their shoes away, puts their water bottle in the sink or dishwasher (if they’re done using it for the day), put personal belongings away and sort through any papers or mail right away. It doesn’t take long and it keeps the entry free from looking untidy. 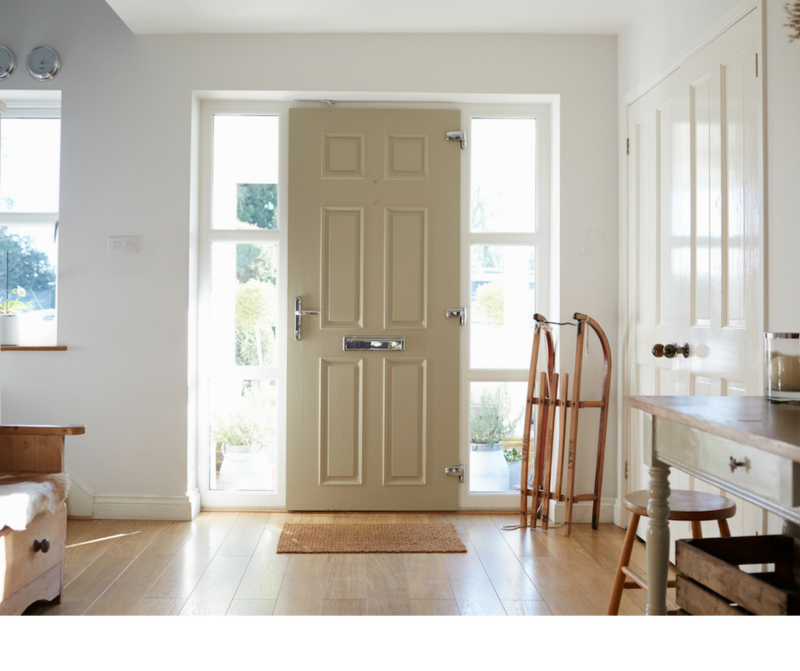 Keep on top of these 7 areas daily and keep your home looking tidy in no time at all. What space in your home do you find the hardest to maintain clutter free?